From the New York Times bestselling author of The Glass Sentence, a lightly speculative, relevant puzzle box with undertones of Never Let Me Go. The time is now. The place is San Francisco. 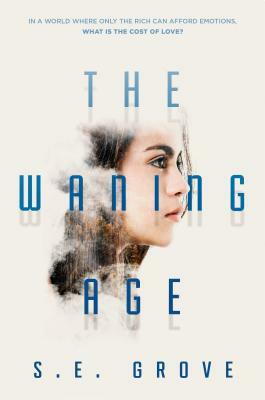 The world is filled with adults devoid of emotion and children on the cusp of losing their feelings--of "waning"--when they reach their teens. Natalia Peña has already waned. So why does she love her little brother with such ferocity that, when he's kidnapped by a Big Brother-esque corporation, she'll do anything to get him back? From the New York Times bestselling author of The Glass Sentence comes this haunting story of one determined girl who will use her razor-sharp wits, her martial arts skills, and, ultimately, her heart to fight killers, predators, and the world's biggest company to rescue her brother--and to uncover the shocking truth about waning. S. E. Grove (segrovebooks.com) is a historian and world traveler. She spends most of her time reading about the early modern Spanish empire, writing about invented empires, and residing in Boston. Follow S. E. Grove on Twitter @segrovebooks.